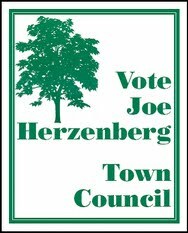 There are a lot of reasons people miss former Chapel Hill Town Council member and greenways champion Joe Herzenberg around election time. 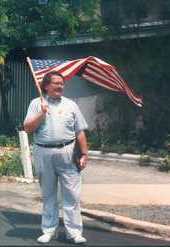 For poll organizers and precinct captains, a big reason is that he could always be counted on to lend a hand. 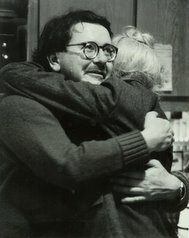 For journalists, he was a kind of institutional memory of local elections. 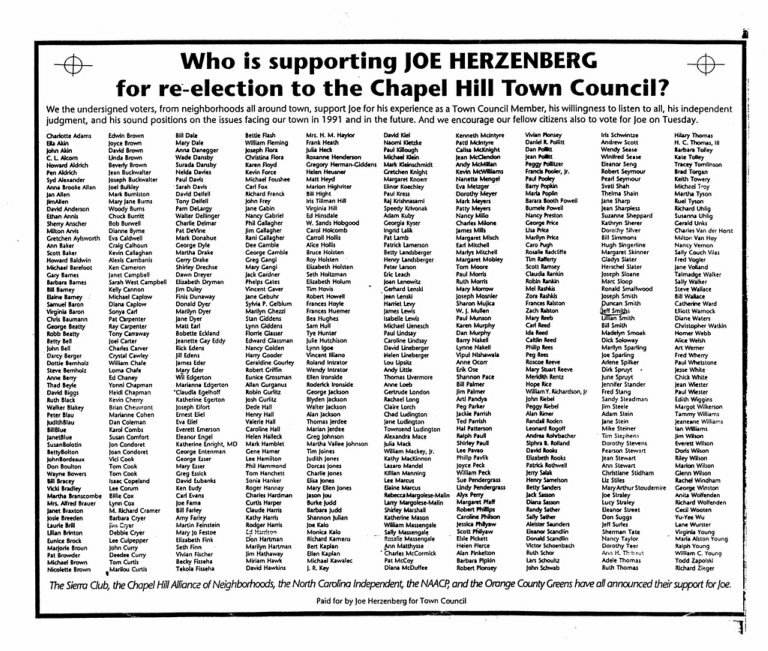 Joe could have quickly answered one of the big trivia questions floating around about the four-way race for Chapel Hill mayor. So we’ll put this one to our readers: When was the last time four people ran for mayor of Chapel Hill?